A United States Supreme Court Decision handed down today may adversely affect the Wilton Rancheria's proposed $400 million casino resort in Elk Grove. In a 6-2 decision, the Supreme Court today said that a person who has been nominated to serve in a position cannot be appointed to serve on a temporary basis. The case was filed as a challenge of an appointment by former President Barrack Obama to the National Labor Relations Board (NLRB). 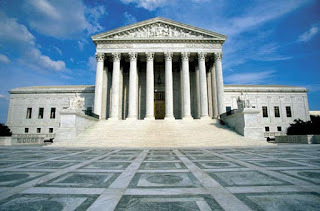 The case centered on the interpretation of the Federal Vacancies Reform Act (FVRA) of 1998. In an appeal filed last month by the Indian gaming watchdog group Stand Up For California challenging the Bureau of Indian Affair's record of decision to place land purchase by the Wilton Rancheria from the Howard Hughes Company into federal trust for the casino, SUFC cited the same law. In today's case, a company that had received an unfavorable ruling from the NLRB challenged saying the person Obama tapped to be the temporary general counsel pending his appointment had improperly served and the adverse ruling therefore should be vacated. Although the ruling said the appointment had violated the FVRA, it did not speak to the validity of rulings made. Citing the Federal Vacancies Reform Act of 1998, Chief Justice John Roberts wrote in the majority decision the law prohibits anyone nominated to serve in a position from serving in an acting capacity. The decision noted that Obama could have had another person to serve in an acting capacity pending the nomination process. This decision could bolster an appeal by Stand Up For California that the decision in the waning days of the Obama administration was invalid as the person issuing the decision, Larry Roberts, Principal Deputy Assistant Secretary on the evening of January 19, 2017, he had done so contrary to the Vacancies Reform Act. Roberts was assigned to the position on January 1 2016, and by statute, his authority lapsed on or about August 3, 2016, therefore, his decision is invalid. "There is no ambiguity as to the limits on Mr. Roberts authority. The ROD (record of decision) was not the final agency action" the appeal document states. In an amendment to the appeal that was filed last week, SUFC also seeks to have Michael S. Black current Acting Assistant Secretary-Indian Affairs, removed from ruling on the appeal. The document says that the United States Department of the Interior Office of Hearings and Appeal, Interior Board of Indian Appeals should rule on the appeal. Additionally, the filing states that Black was improperly appointed by Acting BIA Secretary Kevin Haugrud, and therefore should not rule on the appeal. In their argument SUFC again cited the FVRA. "But the FVRA does not permit the head of an agency to rely on a statutory provision providing general authority to delegate certain responsibilities. Id. § 3347(b). Section 2 of the Reorganization Plan is a general statutory authorization. Accordingly, Haugrud did not have authority to delegate to Black the authority of the Assistant Secretary." Damn, the U.S. Supreme Court just ruined our casino and mall! They better not take our food trucks or I'm outta here!